We are a volunteer run, not for profit charity. 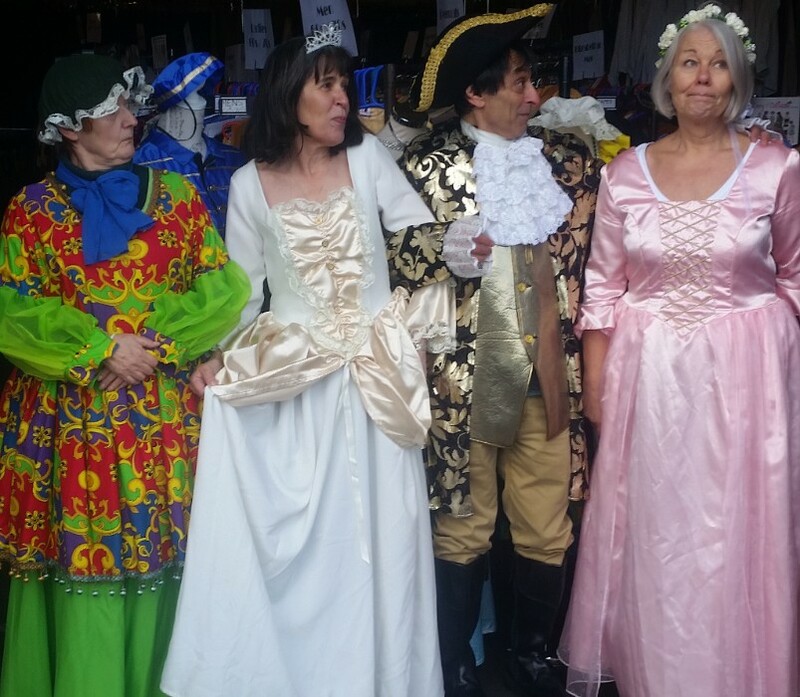 Our aim is to make good costumes available to local amateur drama productions, schools, colleges, community groups, individuals and all costumed and fancy dress events. Costumes are charged at full price for the first hire period of up to 2 weeks. We can agree a rate with you if the costumes are needed for longer. Charges are payable on collection. All costumes and props hired are the responsibility of the customer, so please ensure that your insurance will cover the full cost of replacement for any damaged or lost items. If you do want to make minor alterations to the costumes, please check with us first. Any costumes which are returned with unapproved alterations may be charged for repair. If the costumes are returned damaged, stained, dirtied or marked with make-up, we will ask you to pay a cleaning and/or repair charge. All washable costumes (shirts etc) should be washed please before return. All costumes will be issued on hangers and must be returned on the same hangers please or a charge will be made. Failure to return costumes will result in a fine being charged. Please note that some of our costumes are very valuable and therefore the fine may be substantial. We would be very pleased if you could acknowledge the Oxfordshire Drama Wardrobe Collection in your production programme, and mention our website. If you do, and you bring along a copy of the programme, we would be pleased to offer a discount on your next hire.